As the seasons change, so do the taste buds of wine connoisseurs across the globe. A catchy, festive label design can make your product more appealing than the competition. Fall is a time when the leaves change color, apples drop from the trees, and temperatures get surprisingly comfortable. Bonfires, festivals, and trick-or-treating all serve as events to try the latest seasonal wine. For consumers, a bottle of crafted wine with the perfect image of colorful leaves or other fall symbolism pairs great in these timeless moments. 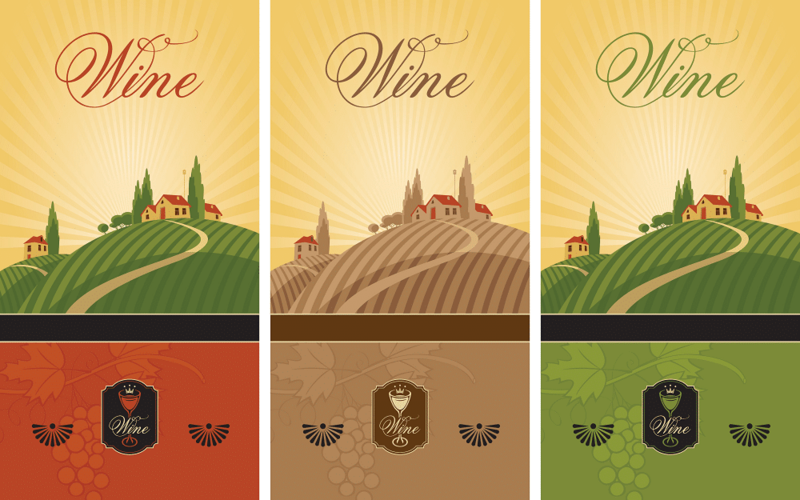 Whatever event the individual is attending, the best fall wine labels will put your product above the rest on the shelf. The materials, inks, images, wording, and placement on these labels are imperative. Customizing labels for the upcoming season allows your company to appeal to the festive side of consumers. For example, having fall wine labels with images or wording focused on giving thanks can be great as Thanksgiving nears in the United States. However, this may not go over as well if your wine is sold in other countries. Fall wine labels offer an opportunity to show the festive side of your brand and can be focused on a specific holiday or event of the season. Labels may also contain images associated with the season that are not particular to holidays such as a tree with different colored leaves or a squash. Use of fall colors are another great option. A good example would be using yellow, orange, white, brown, or other color combinations to create the feel of the season. While some customers buy wine because they are familiar with the brand or a specific type, some also buy the bottle to double as a decoration through the season or holiday. These items are often opened to celebrate the occasion and shared with guests. The change in seasons offers the chance to get creative with your brand and the Internet provides plenty of inspirational ideas. Regardless of the design choices, a dependable professional can help make it a reality by recommending the right design combination of materials, images, and inks. Seasonal designs show consumers that your company is in the fall spirit and wants to be part of the fun. The team at Flexo-Graphics can help you determine what base materials, inks, colors, and finishes are best for promoting your brand through a crisp, cool fall wine label. Contact us today to learn more about how we can assist with staying ahead of the competition as the seasons change. Co-Packer Labels: Three Reasons Not to Cut Quality Peel and Reveal Labels – Will They Work for Your Product?